Propelled by strong results in clinical trials, minimal residual disease (MRD) has emerged as a biomarker for directing treatment and as a predictor for outcomes in patients with acute lymphoblastic leukemia (ALL) and acute myeloid leukemia (AML). Researchers obtained samples of bone marrow or peripheral blood from 482 patients with previously untreated AML (n = 428) or refractory anemia with excess of blasts collected from 2001 to 2013. Patients had to be in either complete remission (CR) or CR with incomplete hematologic recovery (CRi), with less than 5% blast cells in the bone marrow, after receiving 2 cycles of induction chemotherapy. The investigators used multiparameter flow cytometry (MFC) and targeted next-generation sequencing (NGS) at diagnosis to detect mutations that could serve as a marker of residual disease. They detected mutations in 54 genes commonly found in patients with hematologic cancers. Overall, 430 patients (89.2%) were positive for at least 1 such mutation. Compared with no detection, the detection of molecular MRD positivty was associated with a significantly higher relapse rate (55.4% vs 31.9%; HR, 2.14; P <.001) and lower rates of RFS (36.6% vs 58.1%; HR for relapse or death, 1.92; P <.001) and OS (41.9% vs 66.1%; HR, 2.06; P <.001). The 430 patients who were positive for at least 1 mutation were randomly assigned to either a training cohort (n = 283) or a validation cohort (n = 147). In the training cohort, the detection of any persistent mutation during CR was associated with an increased risk for relapse. At 4 years, the relapse rate was 48.2% with detection compared with 32.4% with no detection (P = .03). Investigators found that the correlation of persistent mutations with an increased relapse risk appeared to be independent of allele frequency. Investigators categorized responses after course 1 (C1) as resistant disease (RD), partial remission (PR), and CR or CRi—defined as absolute neutrophil count <1000/μL or thrombocytopenia <100,000/ μL). CR/CRi was further subdivided by MFC-MRD assay into MRD-positive or MRD-negative status. Patients with favorable or standard risk, including NPM1 wild-type patients, received a second induction of daunorubicin/cytosine arabinoside. Treatment in course 2 (C2) was intensified for patients with high-risk factors. Among patients had achieved a CR post C1, the presence of MRD data was associated with secondary AML, and the absence of an NPM1 mutation. Five-year OS survival was 52% in patients with MRD data versus 50% in those without. In adjusted analyses, the presence of MRD data was not associated with survival (HR, 0.99; 95% CI, 0.84-1.16; P = .9). Five-year OS from PR and MRD-positive responses after C1 were similar, particularly for good- to standard-risk subgroups (RD, 27%; PR, 46%; CR/CRi and MRD-positive, 51%; CR/CRi and MRD-negative, 70%; P <.001). Adjusted analyses confirmed significant OS differences in the good- to standard-risk subgroups between RD and PR/MRD-positive but not between PR and MRD positive (TABLE 1). Compared with those who had CR, MRD-positive patients who had CRi after C1 had poorer OS rates (19% vs 45%; P = .001), with a smaller effect after C2. Investigators found that the prognostic effect of C2 MFC-MRD status remained significant when adjusting for C1 response, for both relapse (HR, 1.88; 95% CI, 1.50-2.36; P <.001) and OS (HR, 1.77; 95% CI, 1.41-2.22; P <.001). MRD positivity appeared to be less discriminatory in poor-risk patients by stratified analyses. For the NPM1 wild-type standard-risk subgroup, MRD-positive status following C2 was significantly associated with poorer outcomes compared with MRD-negative status for OS (33% vs 63%; P = .003). MRD-positive patients also derived greater benefit from stem cell transplantation compared with those who were MRD-negative (HR, 1.68; 95% CI, 0.75-3.85; P = .16 for interaction). “MFC-MRD can improve outcome stratification by extending the definition of partial response after first induction and may help predict NPM1 wild-type standard-risk patients with poor outcome who benefit from transplant in the first CR,” wrote Sylvie D. Freeman, MD, PhD, of Birmingham Medical School, and colleagues. Freeman et al went on to write that, to date, there has been no accepted approach to distinguish those patients likely to be cured with chemotherapy alone from those whose response is likely to be successful after salvage therapy following relapse, if they do relapse, or from patients those who would benefit from transplantation in first remission. “Because patients who have MRD are more likely to relapse, having a treatment option that eliminates even very low amounts of residual leukemia cells may help keep the cancer in remission longer,” Richard Pazdur, MD, director of the FDA’s Oncology Center of Excellence and acting director of the Office of Hematology and Oncology Products in the FDA’s Center for Drug Evaluation and Research, said in a statement upon announcement of the approval. 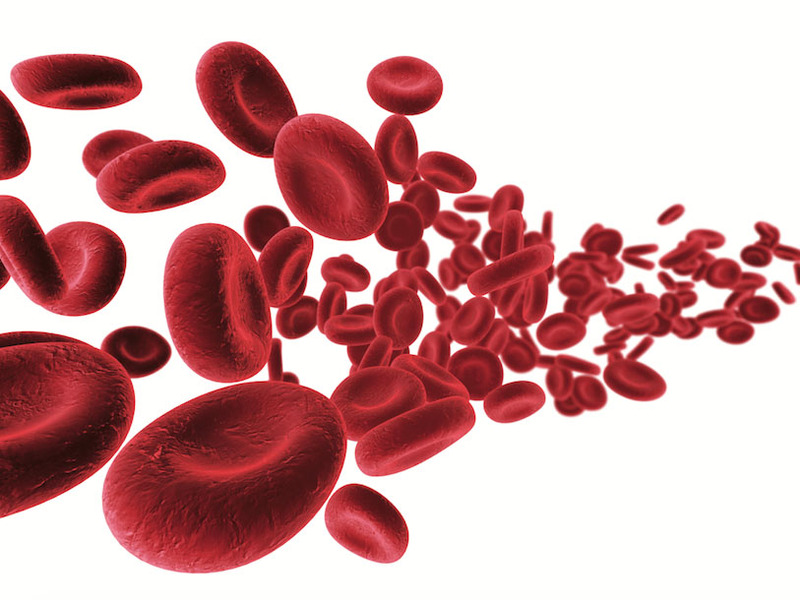 Of 116 patients who received at least 1 dose of blinatumomab, the FDA identified 87 in CR with hematologic recovery and baseline MRD >0.1%, including 61 in first CR, 25 in second CR, and 1 in third CR. Sixty-nine patients (79.3%; 95% CI, 70.4- 87.6) achieved a complete MRD response within the first cycle. The full analysis set from BLAST included 113 patients who were determined to be MRD-positive, based on a measurement of ≥0.1% from an assay with a minimum sensitivity of 0.01% after ≥2 weeks from their last chemotherapy treatment. Among the evaluable patients in this group, 77.9% (95% CI, 69.1%-85.1%) achieved MRD CR within the first cycle. Two additional patients achieved MRD CR after the second cycle. Using the 87-patient FDA efficacy analysis set, the 18-month RFS rate was 56% and the estimated median RFS was 22.3 months. The estimated median RFS time in first CR at the time of treatment with blinatumomab was 24.6 months (95% CI, 18.7-not applicable), and the median RFS time in the second or third CR was 11.0 months (95% CI, 6.8-15.4) (TABLE 2). RFS was numerically longer for patients in first CR than for those in the second or third CR. The estimated median RFS time was 23.6 months (95% CI, 17.4-not applicable) for patients with a complete MRD response and 5.7 months (95% CI, 1.6-13.6) for MRD nonresponders. A propensity score analysis for the patients in first remission, with or without hematopoietic recovery, in BLAST and in Study 20120148 demonstrated that the RFS for patients treated with blinatumomab was significantly greater than in historical controls. Study 20120148 was a retrospective cohort study investigating the hematological RFS and OS in adult patients with Philadelphia chromosome–negative BCP ALL in hematological CR with MRD. The estimated median RFS time with propensity score weighted analyses was 35.2 months (95% CI, 24.2-not estimable) for the blinatumomab group and 8.3 months (95% CI, 6.23-11.9) for the control group (log-rank P <.0001). It’s possible that using both NGS and MFC to determine MRD status will deliver the best outcomes. Although Freeman et al observed distinct prognostic groups for 5-year OS after incorporating MFC-MRD with established response criteria of PR and RD, Valk et al concluded that the detection of residual leukemia using both methods was associated with an excessively high probability (approximately 75%) of relapse. Furthermore, the absence of detection of residual disease with both methods correlated with a relatively low probability of relapse (approximately 25%). More research will help to further clarify the role of MRD status in AML and ALL and the best method for testing MRD that can be used to guide treatment. Jongen-Lavrencic M, Grob T, Hanekamp K, et al. Molecular minimal residual disease in acute myeloid leukemia. N Engl J Med. 2018;378(13):1189-1199. doi: 10.1056/NEJMoa1716863. Freeman SD, Hills RK, Virgo P, et al. Measurable residual disease at induction redefines partial response in acute myeloid leukemia and stratifies outcomes in patients at standard risk without NPM1 mutations [published online March 30, 2018]. J Clin Oncol. doi: 10.1200/JCO.2017.76.3425. FDA briefing document: Oncologic Drugs Advisory Committee Meeting: BLA 125557 S-013 Blincyto (blinatumomab) Applicant: Amgen, Inc. FDA website. www. fda.gov/downloads/AdvisoryCommittees/CommitteesMeetingMaterials/Drugs/ OncologicDrugsAdvisoryCommittee/UCM599298.pdf. Accessed March 29, 2018. Walter RB. Minimal residual disease testing after induction chemotherapy for acute myeloid leukemia: moving beyond prognostication? [published online March 30, 2018]. J Clin Oncol. doi: 10.1200/JCO.2018.78.3266.